Biographical accounts of all the Engineers, including "Who Built the Bell Rock Lighthouse"
SIXTEEN PAGES of related information ranging from a lightkeer's stories, to Captain Cook and volcanos - to name but a few! Plus a SITE MAP, LINKS PAGE and a GUESTBOOK. 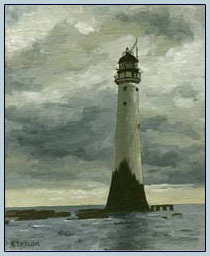 Lighthouses :: Georgian Architecture :: Civil and Marine Engineering :: Naval and Social History :: Genealogy :: Marine and Natural History :: Geology :: Geography :: Construction Techniques:: Early Railways :: Communications (including the Signal Ball). This site commemorates probably Scotland’s greatest single engineering feat of the early 19th century. It also celebrates the men who built it . 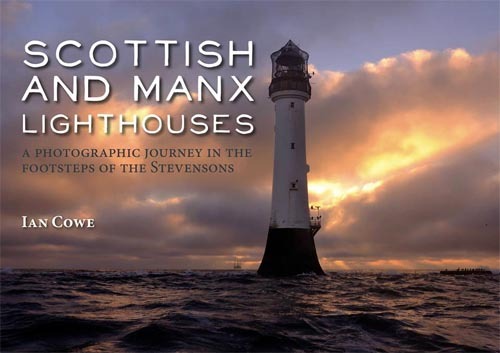 . . to JOHN RENNIE, who was appointed Chief Engineer, responsible overall for the project; and to ROBERT STEVENSON, assistant and resident engineer, who shared the hardships with his team, and who in practical terms built the lighthouse. It also remembers my great-great-great-grandfather, Capt. David Taylor (1768-1843), who was Master of the Sir Joseph Banks tender during progress of these Works; who later commanded the supply vessel (the Smeaton) on completion of the lighthouse and eventually the new Pharos of 1816; finally taking up the post of Lighthouse Storekeeper in Leith when ill health forced him ashore. As the site develops, it is hoped to include hitherto unpublished material, with a view to giving fresh insight into the life and times of the men who worked with Stevenson on his undoubted masterpiece and greatest achievement. Links to associated websites may be found here. I should also like to acknowledge the following, who have helped in their various ways to make this website possible, in particular Mrs Margaret King for information on the improvements and modernisation to the Lighthouse since 1811; Mrs Lorna Hunter (Information Officer of the NLB); Charlie Riding for his two real-life experiences about living on the Bell; Bill Daysh (RN Retd) for his interesting account of the demise of the HMS Argyll, the only ship to be "lost" on the Bell Rock since the Lighthouse was built in 1811; Jim Anderson of the West Lothian Sub Aqua Club for providing the photographs for "Underwater Life at the Bell Rock"; Alan Provan (Chief Officer of the "Polestar") for his selection of scans for the section "Preparing for Automation"; and Dr Alison Morrison-Low for her excellent Paper on early lighthouse optics and the part the Stevenson engineers played in its development. Other direct "lifts" used in the website have been acknowledged.